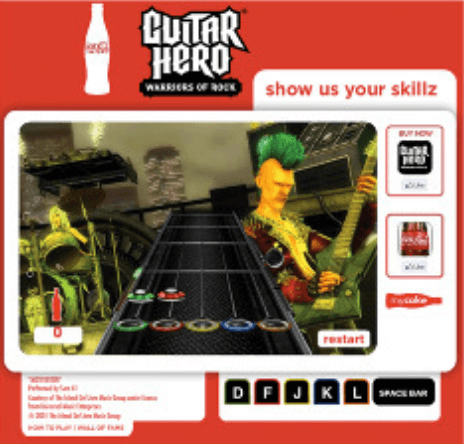 Our goal was to reconnect multicultural American teens with Coca-Cola Classic. 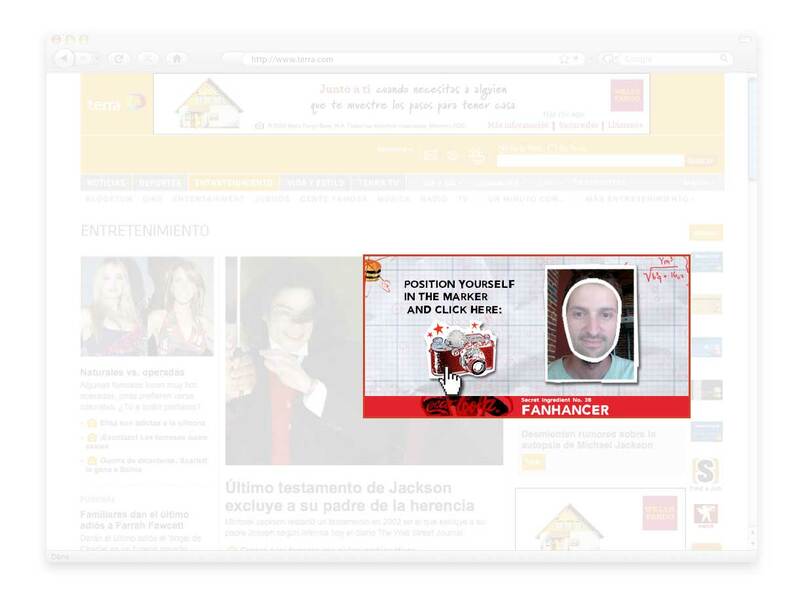 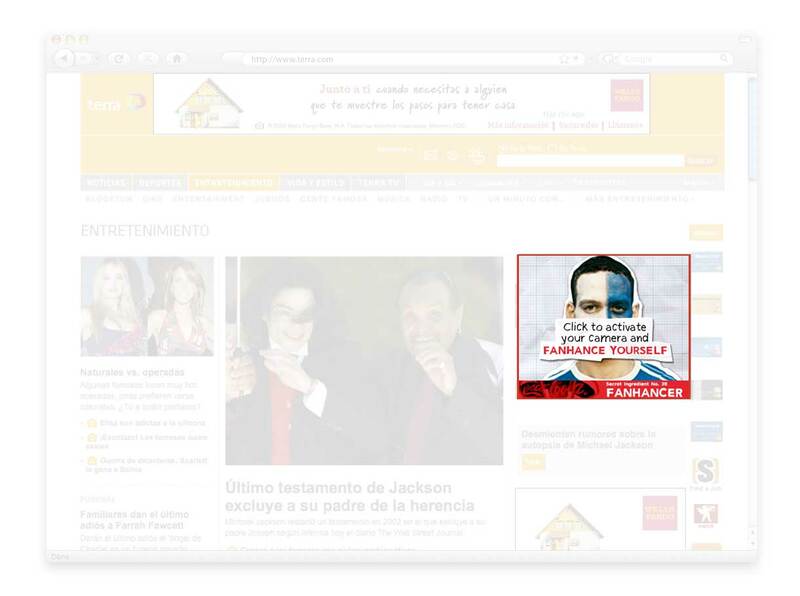 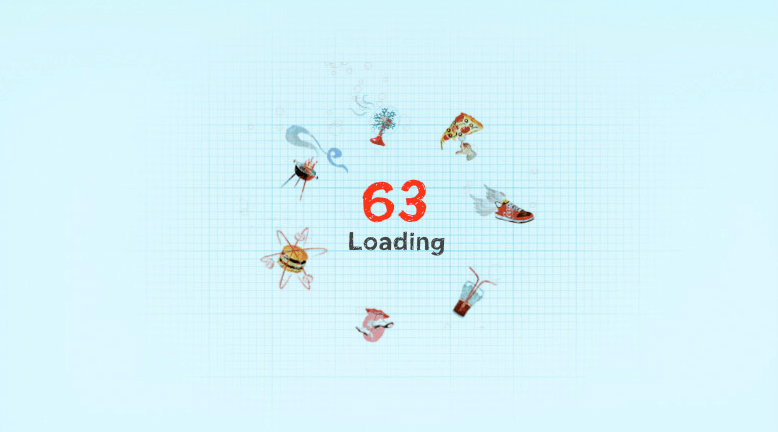 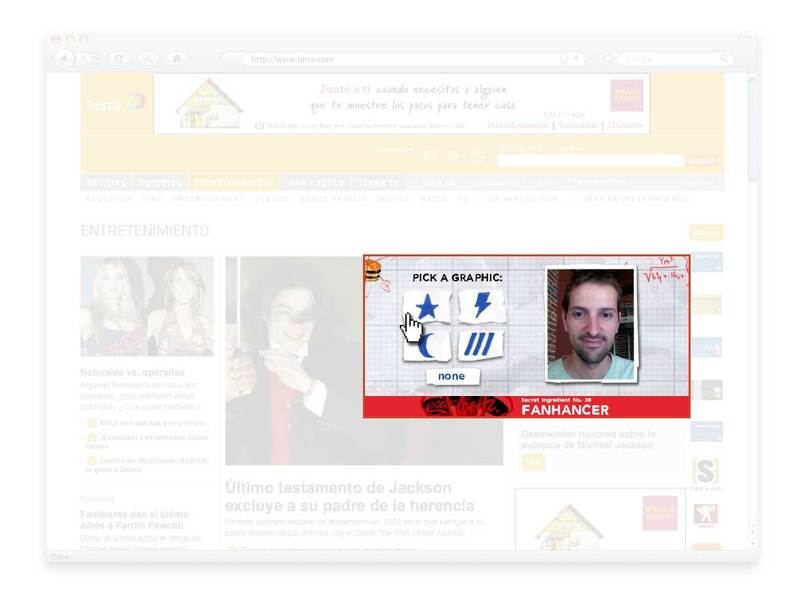 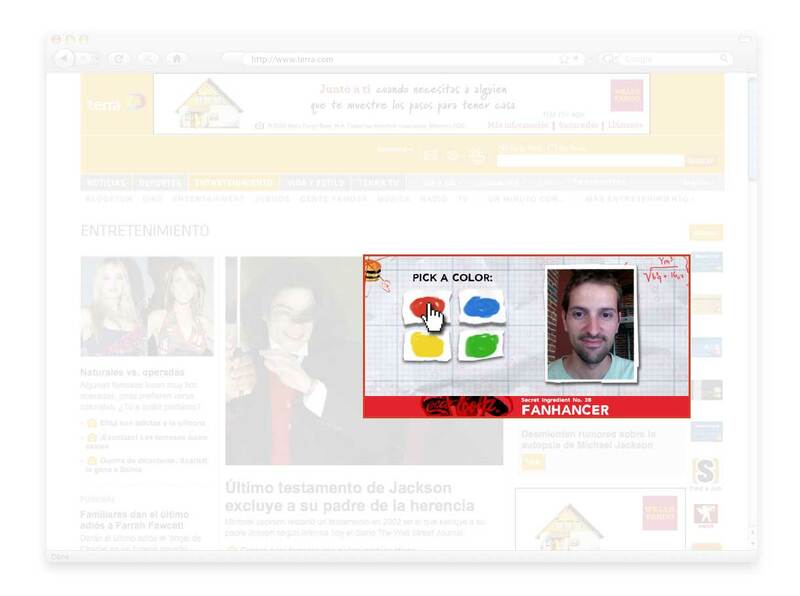 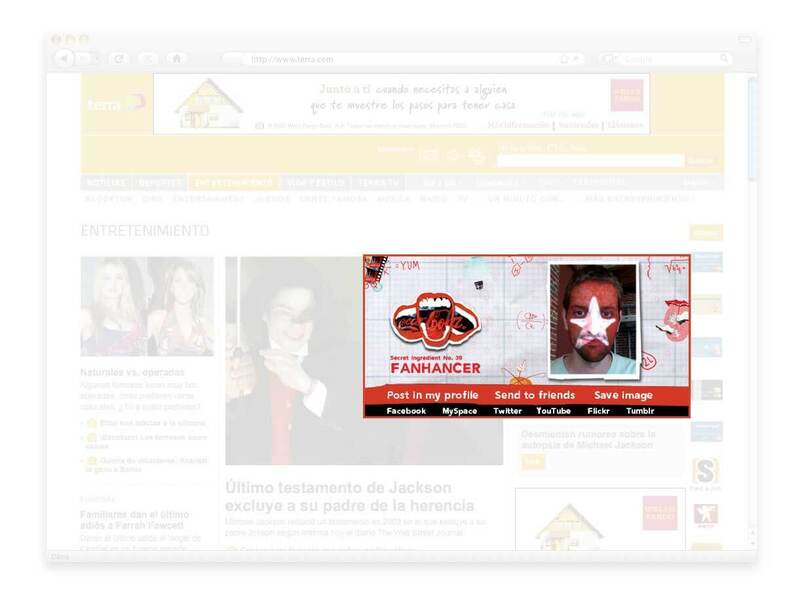 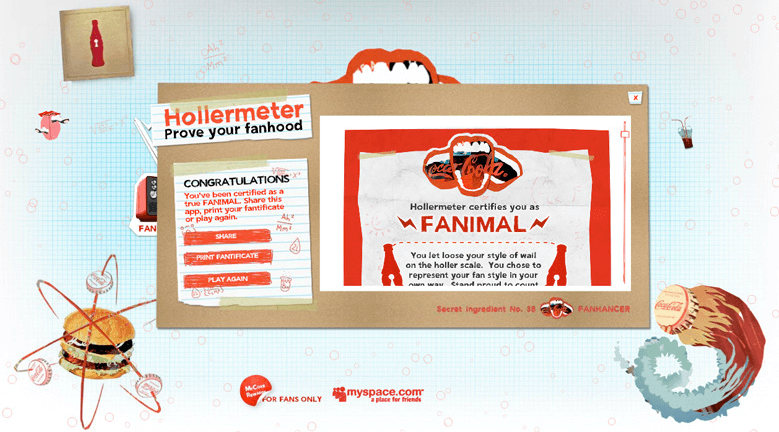 For this, we created the integrated campaign of the secret ingredient # 38: Fanhancer. 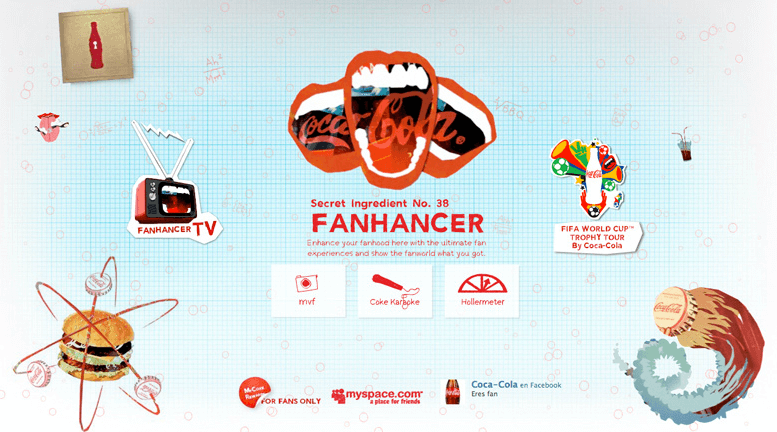 Fanhancer is Coca-Cola’s secret ingredient # 38. 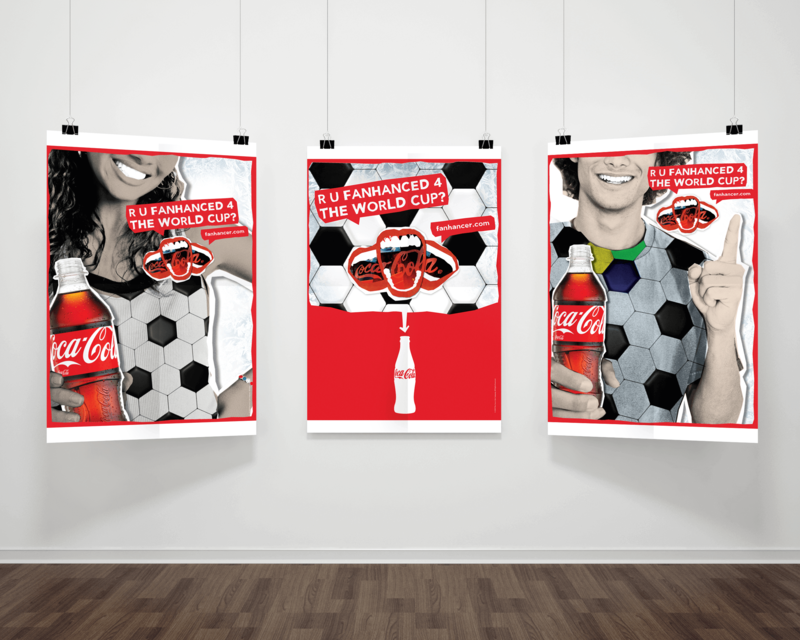 It provides you with the extra spark & refreshment a fan needs to chant, scream, holler and cheer like there’s no tomorrow. 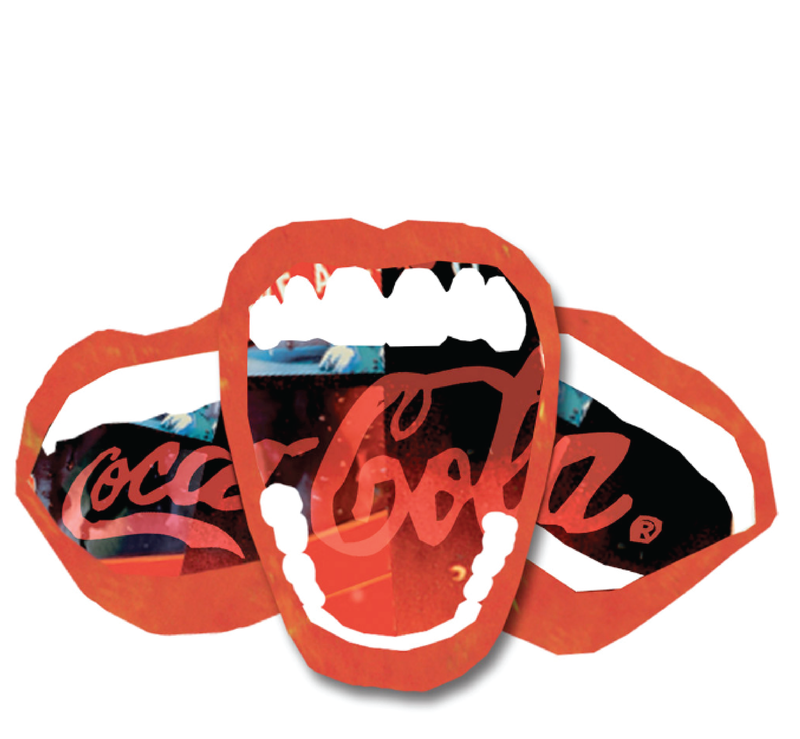 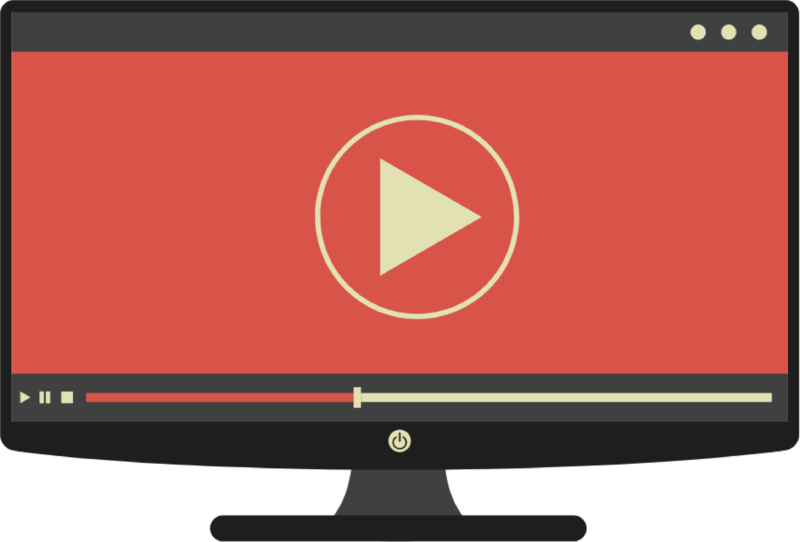 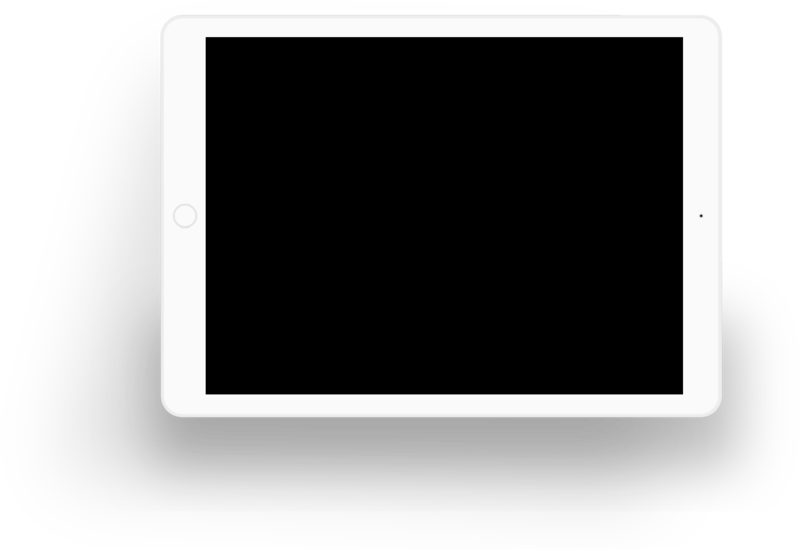 Whether in the ballpark, the stadium, a concert or arena, you wanna make sure your favorite artists, athletes and performers hear ya loud and clear (even if your mouth’s full with those delectable concession stands nachos). 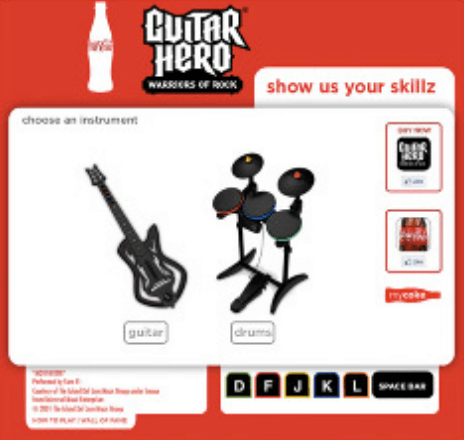 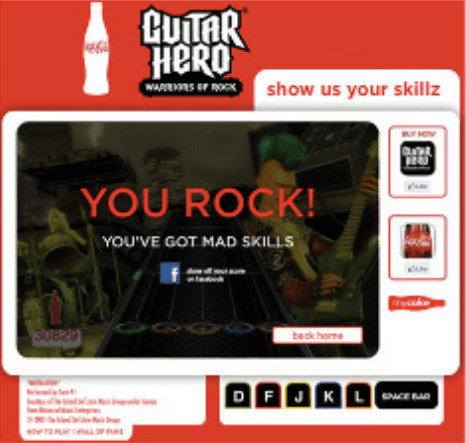 Social Media “Most Valuable Teen Facebook app”, “ Show off your fan skillz playing Guitar Hero 5 online!